READING, PA (October 9, 2018) – October is LGBT History Month in the United States. 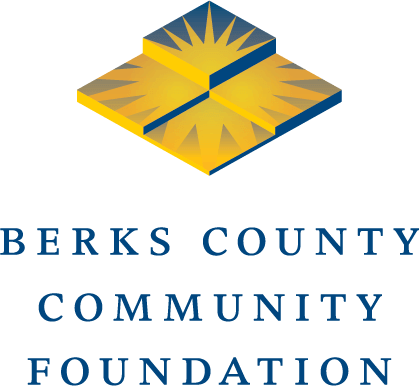 In Berks County, we’re fortunate to have people who support the Diversity Alliance Endowment Fund of Berks County Community Foundation. Thanks to the generosity of its supporters, this fund awards grants that strengthen projects that address issues affecting the lesbian, gay, bisexual, and transgender community in Berks County. • The Children’s Home of Reading held workshops to identify, recruit, and train LGBT families to become resource, or foster, parents, and the Children’s Home also trained existing resource families about LGBT issues and advocacy in order to improve the lives of the disproportionate number of LGBT youth who are in the foster care system. • Diakon Adoption & Foster Care conducted a workshop to provide participants with the awareness and knowledge that would enable them to work with LGBT youth and adults. • Diakon also set up a resource library for LGBT adoption and foster care at Reading Public Library. • Bradbury-Sullivan LGBT Community Center created a Berks County-based LGBT Women’s Health Awareness Program to address the 20% local health disparity for LGBT women who were not receiving cervical pap smears on time and the 9% local health disparity for LGBT women who were not receiving mammograms on time. • Kutztown University began a program that gave university representatives the knowledge, tools and resources to create a sustainable Safe Space program on its campus. • Co-County Wellness Services instituted a “Take Pride” program to provide a safe and supportive environment for LGBT youth/young adults in Berks County. • The LGBT Center of Greater Reading established a parents support group for those who struggle with a child’s sexual orientation, gender identity or gender expression. • Albright College had Jeff Chu as the speaker for the annual James J. Gallagher Memorial Lecture because of Chu’s background as a gay Christian. His pain and struggle echoes in the lives of so many LGBT individuals and their families across the country and in Berks County. • Reading Theater Project put on a Fringe Festival that produced a theatrical evening of short, original pieces by local artists examining and discussing topics facing the LGBT community. These programs have meant a great deal to the progress of the LGBT community in Berks County. The most recent project to receive support from the Diversity Alliance Endowment Fund: The Yocum Institute for Arts Education was awarded a grant to stage a local production of Be More Chill, an Off-Broadway show that is headed to Broadway in 2019. Be More Chill is an honest, edgy, and humorous look at growing up in the digital age, set to some of the most exciting songs in contemporary musical theater. This original musical comedy looks at modern issues like depression, bullying, anxiety, and sexuality through the lens of sci-fi films of the ‘50s, horror flicks of the ‘80s, and teen movies of the ‘90s. The musical is already beloved by millions of theater fans because of its best-selling Billboard Top 10 cast recording. The local production will be staged from October 20 to October 28. For more information about the show or to purchase tickets, visit institute-of-arts.org. Funding from the Diversity Alliance Endowment Fund will provide takeaway educational material, including facts and local resources available for parents of questioning teens, as well as facilitated conversations with audiences following specific performances. These types of programs are essential to making Berks County a healthy and accepting community.